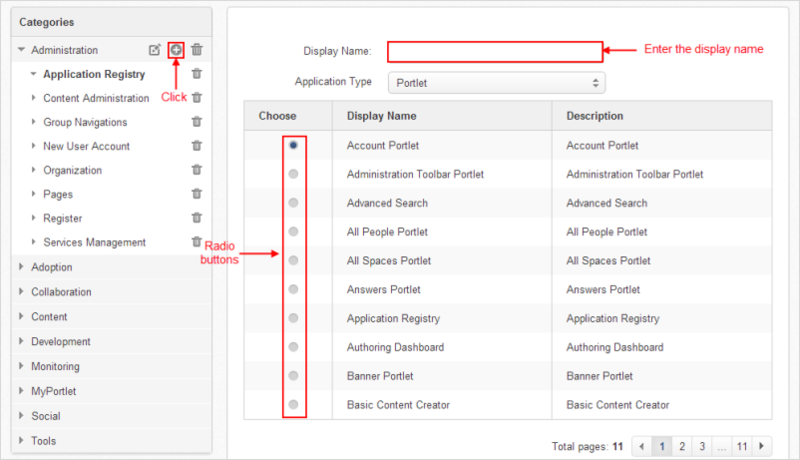 Click located on the title bar of the category to which you want to add portlets/gadgets. The display name of a portlet/gadget. Enter the display name and select an application type. Select a portlet/gadget by checking the radio button. Click Add to accept adding the selected portlet/gadget to the category.